As you began your firefighting career, all you had to do to promote was get a high enough test score. If you didn’t, you studied harder and took the test again. But once you get to a certain level, tests are no longer the deciding factor. The criteria become more subjective. So—what if you’re passed over? That’s our topic on this episode. My guest is Matthew Tobia. 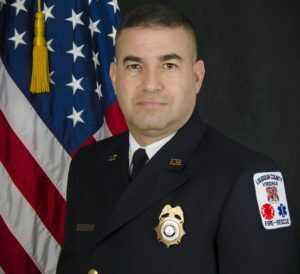 He’s an assistant chief with Loudoun County, Virginia, Fire and Rescue. He’s got almost three decades of emergency services experience. He’s active with the National Fallen Firefighters. These days, live TV news reports are commonplace. But when was the every first one and what did it show? The first TV liveshot was a fire on Ward’s Island in New York City, in November 1938. An NBC mobile unit happened to be working at a swimming pool just across the river, and turned its cameras on the flames.